Who is at fault when bad brakes cause a car crash? The car that caused your crash failed to brake. You know that the accident wasn’t your fault, but in order to recover damages for your accident injuries, you are going to have to prove who was at fault for the accident and your resulting injuries. The driver. A driver who is inattentive, distracted, drowsy, drunk, fails to maintain his car properly, or otherwise fails to stop when the law requires the vehicle to be stopped may be liable for any accident injuries. For example, if a driver fails to stop at a stop sign or stop before rear-ending the car in front him, then the driver could be responsible for any injuries that result from a crash. The car or brake manufacturer. Sometimes brakes have defects that a reasonably prudent driver doesn’t know about until the brakes fail. In these cases, the manufacturer could be responsible for any injuries that result from accidents. The mechanic. If a mechanic was hired to inspect or to fix the brakes and either fails to do so or creates a new problem, then the mechanic may be liable for any injuries that result from his negligence. One or more of these parties may be the right defendant in your car accident case. Eye witness reports. Other people may have seen the other car fail to stop before it hit you. While they might not know why the car didn’t stop, they may provide valuable evidence about the reason for the crash. Expert witness testimony. 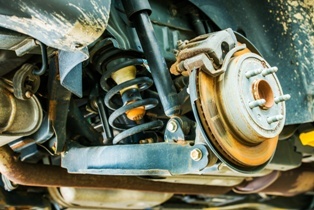 Unlike eyewitnesses, expert witnesses may be able to examine the vehicle and determine what caused the brakes to fail. Vehicle maintenance records. This documentation will show when the vehicle was last inspected and fixed. Additionally, it will provide the name and contact information for the maintenance provider and detail any work done. Brake design and manufacturing records. This documentation can show whether there was a brake defect that could have been caused by the brake manufacturer. Police reports. Right after your accident, the police should be called to the scene of the crash. The police will investigate the cause of the accident and write a report about it. While the report will not be the only evidence considered in your car accident case, it might provide important information about the cause of your crash and provide details for your attorney to further investigate. Other information about your accident and your accident injuries will also be relevant. After reviewing all of the available evidence, you will be ready to proceed with insurance company settlement negotiations or with filing a case in court. The driver of the vehicle that failed to stop will almost always be a defendant in your car accident case. The questions are whether the brake manufacturer or maintenance provider should also be named defendants and how much fault should be attributed to each responsible party. Your accident lawyer can answer these questions for you and help you pursue a fair accident recovery before the statute of limitations expires, and you can no longer pursue justice. If your claim is successful, then you may be able to recover damages for past, current, and future medical costs, lost income, out-of-pocket costs, physical pain, and emotional suffering. Contact Brent Adams & Associates today to schedule a free, confidential, no-obligation consultation about your rights. We will pursue your fair recovery from the right defendants and protect you from the stress and uncertainty that can follow a car crash. Am I Liable If Someone Rear-Ends Me? How will medical evidence be considered in my Social Security disability case? In order to receive Social Security disability benefits, you must be able to prove that you have a disability. This will require you to present medical evidence to prove that you are disabled and that you meet the legal qualifications to be eligible for Social Security disability benefits. No special consideration will be given to information provided by your treating physician. Prior to March 27, 2017, special weight was given to the opinion of your treating physician because it was presumed that your doctor had a “detailed, longitudinal picture of your medical impairment” that other medical providers who saw you just briefly could not provide. Pursuant to the rule that went into effect on March 27, 2017, information from your treating physician may be considered but it may not be given special weight. Instead, all medical information must be considered with preferential treatment. The change in this rule recognizes that today many people see many different doctors and do not establish a special relationship with one physician. No special consideration will be given to information provided by another governmental agency. Prior to March 27, 2017, the Social Security Administration (SSA) could give special consideration to the medical evidence from another governmental agency. For example, some SSA Administrative Law Judges (ALJs) gave substantial weight to a finding of disability made by the Department of Veterans Affairs. The determinations of other government agencies will no longer be given special weight in determining the outcome of a Social Security disability claim. There are more acceptable medical sources whose information will be considered. Licensed doctors, psychologists, optometrists, podiatrists, and qualified speech-language pathologists were considered acceptable medical sources prior to March 27, 2017, and continue to be recognized as acceptable medical sources. However, the list of potential acceptable medical sources has been expanded and now also includes physicians assistants, advanced practice registered nurses—such as nurse practitioners and clinical nurse specialists—and licensed audiologists. This is meant to include more of the medical professionals that Americans see in the 21st century. However, it still does not include some medical providers such as chiropractors and licensed clinical social workers. According to the Social Security Administration, these changes in the medical evidence rules will allow the agency to make accurate and consistent decisions on Social Security disability cases. The rules of acceptable medical evidence may have changed. However, a few things remain the same. Specifically, it remains important to get good quality medical care from a reliable and reputable medical provider. This is critical to the accurate diagnosis and treatment of your physical condition and to proving your Social Security disability claim. Additionally, it remains important to work with an experienced Social Security disability lawyer who knows what evidence is important to your claim and how to present that evidence in a convincing way. One simple mistake or oversight on your Social Security disability application can result in an unnecessary delay in your receipt of benefits. Likewise, failing to provide the right medical evidence on appeal can result in an unnecessary denial of your benefits. For these reasons, it remains as important as ever to have an experienced Social Security disability lawyer working with you to make sure that your rights are protected from the time that you file an initial claim right through to when you might need to appeal your claim. Contact us today to learn more about providing the right medical documentation with your claim and to schedule your initial meeting with a Social Security disability lawyer. We will evaluate your claim and make sure that you present strong medical evidence in a compelling way so that you can begin receiving the monthly Social Security disability benefits that you’ve earned. Can I Receive Interest On My Judgment? Yes, you can receive interest on your judgment in North Carolina. ​If a personal injury case cannot be settled, it would go to trial. At the end of the trial if the injured party wins, there would bill a judgment entered in the court file. ​The question then arises as to whether the injured party can collect interest on that judgments. ​The good new is that in North Carolina interest can be collected on the judgment from the date the lawsuit is filed. ​Unfortunately, North Carolina does not allow interest from the date of the injury giving rise to the personal injury action. Assume a personal injury victim is injured in a automobile collision which occurred January 1, 2017. After trying unsuccessfully to settle the case, the injured party files suit on August 1, 2017. One year later a judgment is entered in favor of the injured party. When can the injured party begin collecting interest on the judgment which is returned in their personal injury trial. The answer is that the injured party will collect interest from August 1, 2017 at the rate of 8 percent per year until paid. Interest does not begin running on January 1, 2017, the date that the injury occurred. ​Therefore, it is in the best interest of the injured party to file suit as quickly as possible if their claim cannot be settled without filing suit. In summary, the sooner the lawsuit is filed, the sooner the injured party can begin collecting interest on their judgment. How Long Does It Take To Actually Get To Trial After A Lawsuit Has Been Filed in NC? In most counties in North Carolina, where we practice, a lawyer who tries hard enough, can get their trial after a lawsuit within 1 year. ​Nobody likes to go to court. At Brent Adams and Associates we try hard to settle our clients' cases without having to file suit and without having to go to trial. However, sometimes it is necessary to file suit and actually try the case. ​When that happens, our client sometimes ask us how long does it actually take to get to trial. ​All cases are different, and all jurisdictions are different. In some counties it takes longer to actually try your case than in other counties. ​You may have heard about congested trial dockets which result in a delay in going to trial for 2 to 3 years after filing suit. ​Some of the uncertainty concerning how long it will take to actually complete a jury trial arises from the way cases are calendared in North Carolina. ​When a case is set for trial on a particular week, it is always set on Monday of that week. There may be 35 other cases also set for trial that same Monday. Obviously, all 35 cases cannot be tried within that week. ​Most counties have only one judge to preside over that 1 week of trial. However, some counties such as Wade County and Mecklenburg County have more than one judge. Usually there are not more than three judges presiding over a civil calendar at any given week even in the largest counties in North Carolina. Because your case will be set during the same week 35 other cases are also set, your chances of actually getting to trial would depend upon how many cases are settled or continued. ​While it may seem that 35 cases are a lot of cases for the court to handle, a large number of such cases are settled or continued. ​We still maintain that a lawyer who tries hard enough should get his or her case tried within 1 year from filing suit. Will Your Personal Injury Case Be Filed In State Court or Federal Court? ​The vast majority of all lawsuits filed in the United States are filed in state courts. Federal courts have limited jurisdiction and will only hear certain kinds of cases. ​Federal courts will handle cases against the federal government and certain other cases which arise under federal law. ​The most common exception to the general rule that lawsuits are handled in state court is when there exists a diversity of citizenship. If a citizen of one state files a claim against a citizen of another state, the defendant who is sued may ask the federal court to remove the case from state court into federal court. Of course, the plaintiff can also file suit directly in federal court if there is a diversity of citizenship. Even when there is the diversity of citizenship, the amount in controversy must be at least $70,000.00 or the federal court will not hear the suit. ​Most of the claims against manufacturers of defective drugs are handled in federal court because of the diversity issue. What Happens If A Jury Cannot Agree? ​In North Carolina all decisions by a jury after the trial of a case must be unanimous. ​Imagine getting 12 people to unanimously agree on anything. It is very difficult. Nevertheless that is the law. All 12 must agree exactly on every issue submitted to it. But what happens if the jury cannot agree? ​If the jury cannot agree the judge will keep sending the jury back to deliberate for a period of time in order to encourage the jury to reach a unanimous agreement. During the process of deciding the issues in the case, there is usually give and take by jurors and each of the 12 must consider whether to compromise their position in order to reach a unanimous verdict. ​If, after the court send the jury back several times the jury still cannot agree, the judge must make a decision in his or her own discretion, as to whether the jury is hopelessly deadlocked and will never be able to agree on a decision. ​If the judge finds that the jury cannot agree this is sometimes referred to as a "hung" jury. In that case, the judge will declare a mistrial. Thereafter, the case will have to be re tried by the parties. So in that case, they start from Day 1 picking a jury in another case. Of course, the parties will have different jurors. ​If a practical matter, many times after the judge declares a mistrial because of a "hung" jury the parties reach a settlement. ​If you have any questions about how a jury trial works or any other questions about your case give us a call at 910-888-8888. We answer questions like this every day. Can Lawyers Loan Money to Clients? Individuals who have been involved in a car collision are sometimes placed in a financial bind because of the injuries caused by the crash. If this occurs, the victims of motor vehicle collisions turn to family and friends for financial help. Occasionally, these people ask their attorneys for a loan pending the outcome of their case. These injury victims see that there will likely be a time when they will have a pool of money from which to repay loans. In North Carolina, lawyers are especially forbidden to loan money to clients. Occasionally we will get requests from clients to loan them money. Unfortunately, we are unable to accommodate these requests because the law prevents lawyers from loaning money to clients. In time has passed, there were individuals and small companies who would be willing to loan money to clients based upon a potential recovery in their personal injury suits. However, several years ago the North Carolina Supreme Court enacted a rule that there were strict limits on such loans and that usury law would apply to prevent high-interest rates on those loans. As a result, the sources for such loans dried up in North Carolina. We are currently not aware of any companies which are willing to make loans to clients based upon a loan secured by potential personal injury settlements. However, this does not stop family members or friends from making loans to victims of motor vehicle collisions. However, people who make such loans should understand the strict usury law applies and that the interest charged may not be greater than 8 percent per annum. Are stay at home parents eligible for Social Security disability benefits? Stay at home parents do important work. Back in 2011, Forbes argued that stay at home moms should earn about $115,000 annually for their work as daycare providers, drivers, housekeepers, and for the other services that they provide to their families. Of course, there is no one to pay stay at home parents what they are worth and the position is not financially compensated. When a stay at home parent becomes disabled, however, families quickly learn just how much it can cost to replace the services a stay at home parent was performing. If the stay at home parent is no longer able to handle the childcare and perform the household duties like she did prior to becoming disabled, then the costs to the family can quickly add up. Whether or not you are eligible for Social Security disability benefits will depend on how many work credits you have acquired and other factors. Generally, you may acquire a total of four work credits every year. The amount of money that you have to earn to acquire a Social Security work credit varies from year to year. In 2018, you could earn one work credit for every $1,320 you earned up to a maximum of four credits if you earned $5,280 or more for the year. If you are under the age of 24 then you need six credits that you earned in the three year period prior to becoming disabled. If you are between the ages of 24 and 31 then you may qualify if you earned half of the maximum credits possible from the time you were 21 until the time you became disabled. If you are between the ages of 31 and 42 then you need 20 credits. If you are 43 years old then you need 21 credits. If you are 44 years old then you need 22 credits. If you are 45 years old then you need 23 credits. If you are 46 years old then you need 24 credits. If you are 47 years old then you need 25 credits. If you are 48 years old then you need 26 credits. If you are 49 years old then you need 27 credits. If you are 50 years old then you need 28 credits. If you are 51 years old then you need 29 credits. If you are 52 years old then you need 30 credits. If you are 53 years old then you need 31 credits. If you are 54 years old then you need 32 credits. If you are 55 years old then you need 33 credits. If you are 56 years old then you need 34 credits. If you are 57 years old then you need 35 credits. If you are 58 years old then you need 36 credits. If you are 59 years old then you need 37 credits. If you are 60 years old then you need 38 credits. If you are 61 years old then you need 39 credits. If you are 62 years old or older than you need 40 credits. These work credits must be earned within a certain amount of time of filing for Social Security disability. The exact amount of time depends on your age. It is important to remember that work credits are only one factor in determining eligibility for Social Security disability. If you have earned enough work credits to be eligible for disability benefits then you will still need to prove to the Social Security Administration that you are disabled. If you have worked at paying jobs long enough and recently enough to qualify for Social Security disability benefits, then being a stay at home parent should not be a barrier to your receipt of fair benefits. For help getting the benefits that you deserve, please contact a Board Certified Social Security disability lawyer. We would be happy to schedule a free, no-obligation consultation with you to review your claim and, if appropriate, talk about how we can help you get the benefits that you’ve earned and that can help your family during this difficult time. Are Work Credits Transferable From Other Countries? Is There a Deadline to Apply for Social Security Disability Benefits? One day--if not already--you will need a loan. Your credit score is used to determine whether or not you are capable of making your loan payments. Your credit score shows how reliable you are to creditors. The better your credit score, the more likely you are to receive a loan. If you have a question about your credit score or bankruptcy contact the office of Brent Adams and Associates in North Carolina. What is Secured and Unsecured Debt? Secured debt is any debt secured by property that your creditor can take if you fail to make your payments. Your mortgage is a secured debt and so is a car loan. This is called collateral. Lenders place a lien--which is a right to take back their property if you default--on secured debt. You do not own anything loaned to you until your debt is paid in full. Unsecured debt is debt that is not secured by a property. This debt includes credit card bills, taxes, child support, or spousal support. Creditors cannot take anything from you in these cases because there is no asset attached to your loan. To incite you to pay your unsecured debt, creditors will have debt collectors call you. They may even take you to court, and they will report your unpaid loans the credit bureaus, which keep a record of your credit score. This will reflect poorly on your credit report. If you are experiencing financial hardship, make sure to be consistent with your most important payments: secured debt. Otherwise, you risk losing your house. You can make the minimum payment on your unsecured loans. However, this means it will take you longer to pay them off, but it is better not to fall behind. Paying the minimum is better than paying nothing. If I File for Chapter 7 Bankruptcy, Will My Unsecured Debt be Safe? Debts that are not secured by collateral are considered unsecured debts A home or car are considered collateral. Chapter 7 takes care of credit card debt, medical bills, and gasoline card bills. So your unsecured debt will be safe if you file Chapter 7. However, not all unsecured debts will be discharged if you file Chapter 7. Nolo.com states "some unsecured debt is nondischargeable." This means Chapter 7 will not wipe away these debts. Examples of these debts include child/spousal support, student loans, luxury debts, fraud, and taxes due within the past three years. If your debt does not fall into these categories, it will be discharged by the end of your bankruptcy case. For more information about Chapter 7 Bankruptcy, click here. Will the VA reimburse me for Examination or Travel Costs? Unfortunately, the VA will not reimburse you for medical examinations or travel expenses obtained while traveling to and from your doctor's office. This information is disclosed on the DBQ form, as well as the U.S. Department of Veterans Affairs Website. Veterans are completely responsible for their medical costs and travel expenses during the DBQ filing process. However, the VA may request you to have a medical appointment, and this examination is free as long as you make a scheduled compensation appointment. There is no fee to have your doctor fill out a DBQ. What is the Purpose of a DBQ? 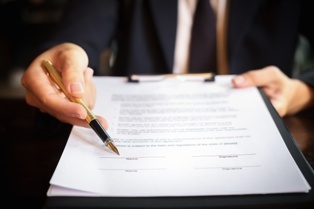 The purpose of a DBQ is to organize all of the necessary documents regarding your claim. This questionnaire provides Veterans with an effective way to provide the Department of Veterans Affairs with evidence supporting their claim. The DBQ also provides a way for Veterans to have more power over their filing process. Veterans should know they can have their providers fill out more than 70 DBQs corresponding to their medical condition. A licensed provider will fill out the DBQ. If you want to see the list of questionnaires provided by the U.S. Department of Veterans Affairs website, click here. What Information do I Need When Filing a Disability Claim? You will also need to note if surgery is needed. If you have to have surgery, you will need to list the date of the surgery and the type of surgery you will be receiving. Do I Meet the Requirements for a DBQ? However, please note that some providers may not sign the DBQ for professional reasons, and other specialty doctors may also decline for professional reasons. 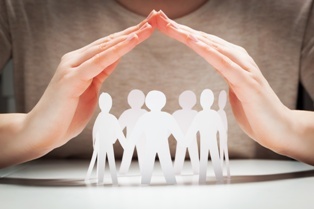 What is Tort, and What is the Cap for Tort Damages in NC? First and foremost, in order to understand the role a medical malpractice plays in tort law, you must know the definition of tort. Tort is defined by Medical Malpractice Tort Reform "as a civil wrong which causes an injury, for which a victim may seek damages, typically in the form of money damages, against the alleged wrongdoer." This means tort occurs when non-economic damages have taken place on someone during surgery, an examination, etc. having a doctor's surgical tool left inside of your body after surgery (which has also happened). Currently, the cap for tort compensation in North Carolina is $500,000.